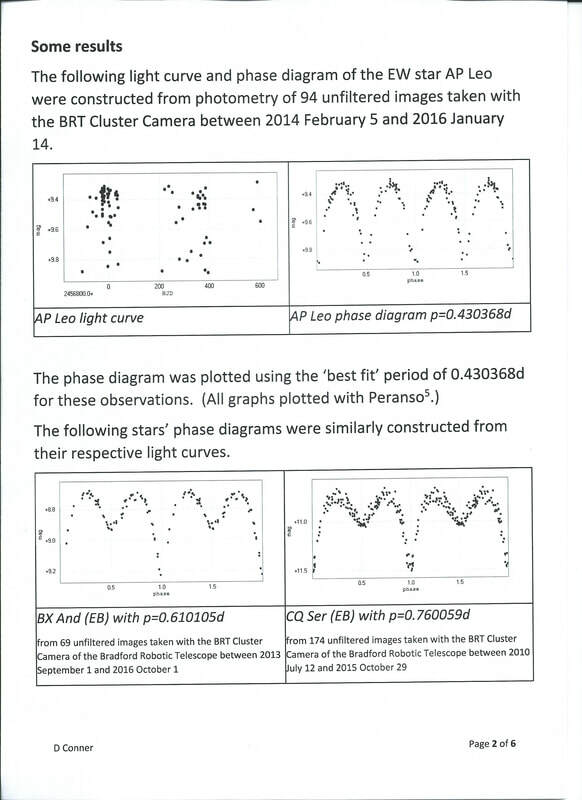 Observing Eclipsing Binaries Using Remote Observatories. 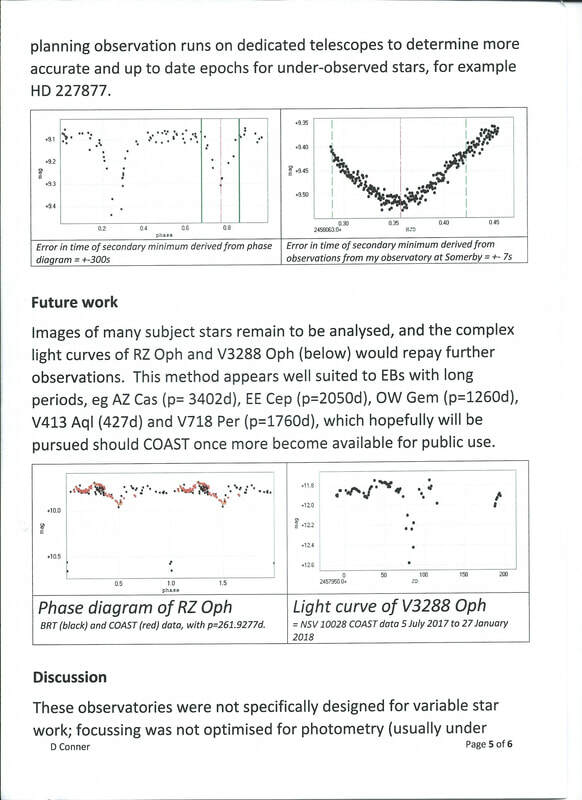 ​On July 7 and 8 2018 The British Astronomical Association Variable Star Section and the American Association of Variable Star Observers held a joint meeting at the University of Warwick, Coventry, UK. 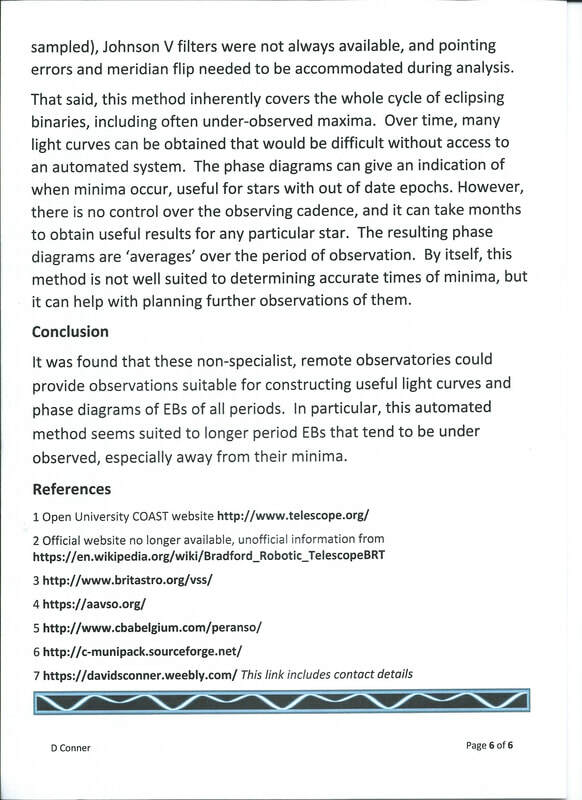 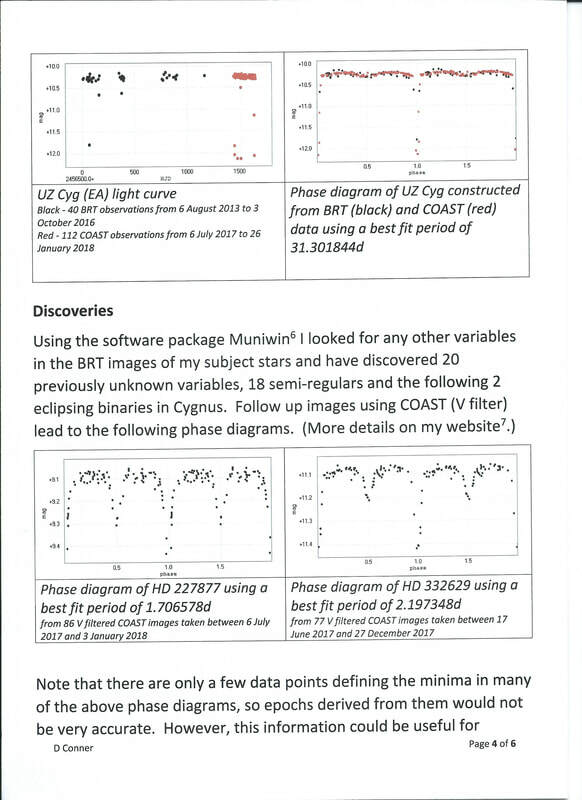 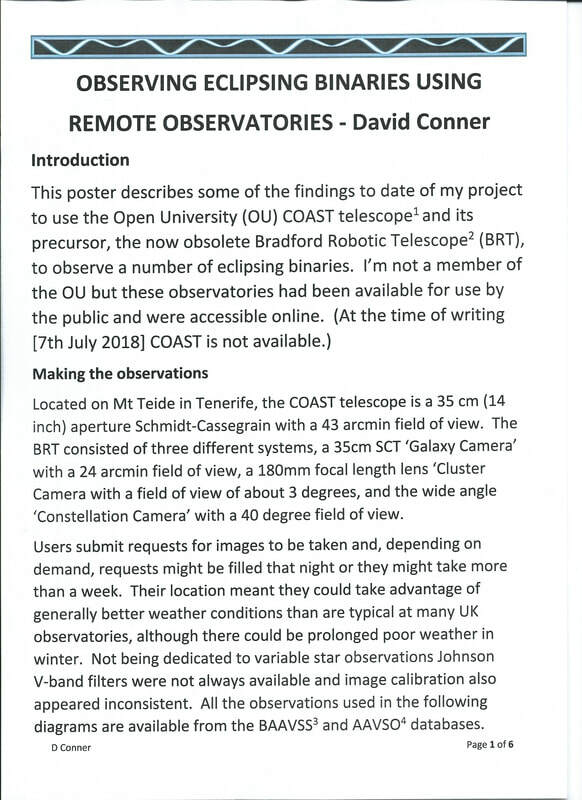 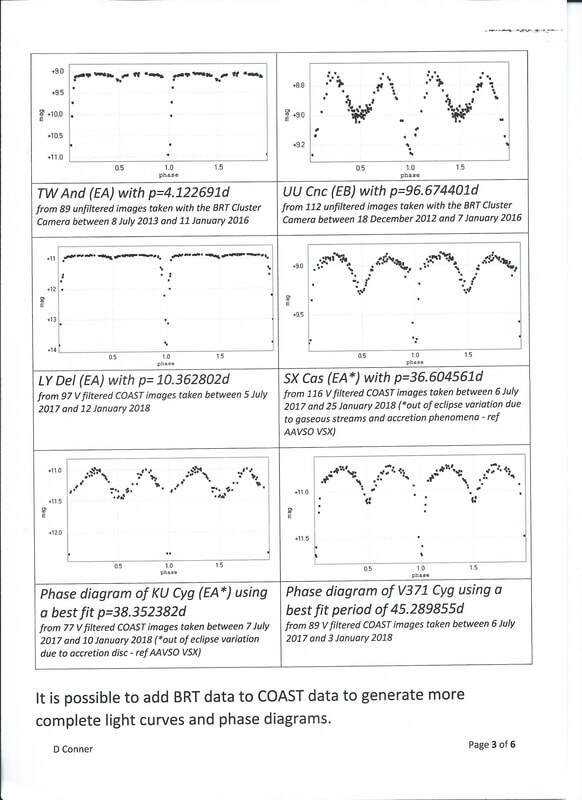 ​The following poster presentation was my contribution to proceedings, and outlines some of my experiences in observing eclipsing binaries with remote observatories.